Hey there! Thanks for joining me on my 2nd guest post! 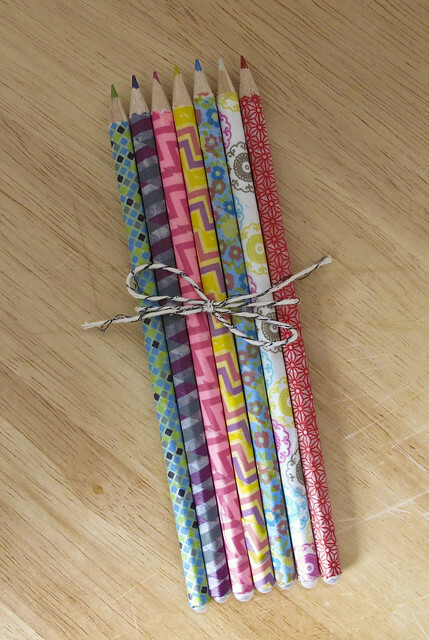 Today I’m sharing a super simple project that would be a great gift for someone crafty – or maybe a younger person who is starting to write their own thank you notes. 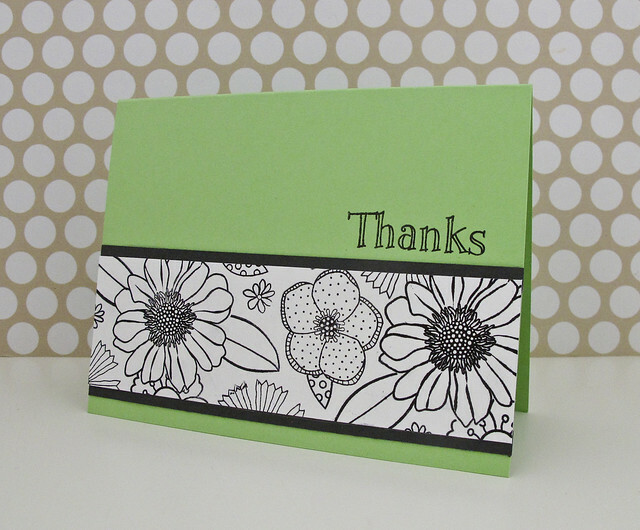 The idea of these notecards is that the recipient of this set would color in their own flowers – and you can include your own washi tape-wrapped colored pencils too. I pulled out lots of Hero Arts flower sets that have detailed, open flowers (complete list below). 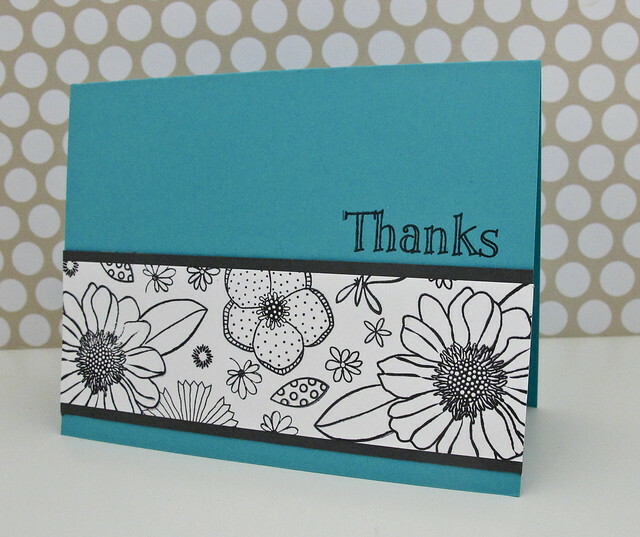 Here is a tip for these floral strips – to keep them looking genuinely random I stamped a sheet of white cardstock all over with the flowers and then cut strips measuring 5 1/2″ wide x 1 3/4″ tall. I used masking to create some depth to the design as well. To save on cardstock I only used tiny strips of grey to give the appearance of a mat without using a ton of paper. 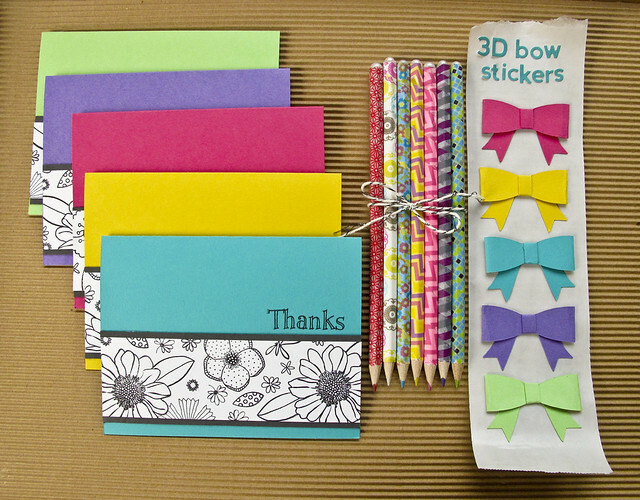 I used lots of fun Washi Tape to wrap the colored pencils and cut out the bows using my Silhouette. 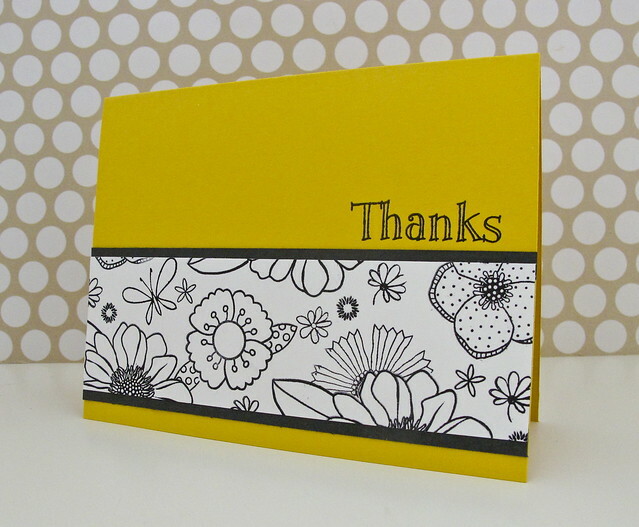 If you don’t have a Silhouette, Simon Says Stamp has a nice 3D bow die cut! Hey everyone it’s Michelle here today with 3 different watercolor mediums. I have been obsessed lately with watercolors. I have 3 different mediums in my stash, watercolor paints, watercolor pencils and watercolor markers and decided to try to see how different each one was. In the end I realized other than the application process it all comes out pretty much the same. Let’s take a look shall we? For all three cards I used the same format. 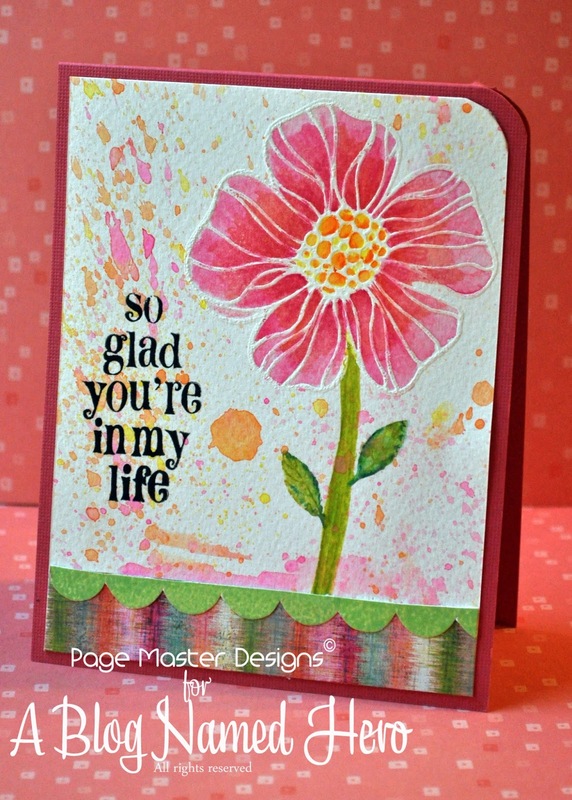 I stamped the flower onto watercolor paper in Colorbox Frost white and then embossed with Hero Arts White embossing powder. First up is the one most of us are familiar with…Watercolor paints. We all used them in school you add a little bit of water to your brush, dip in the shiny palette and watch magic happen. 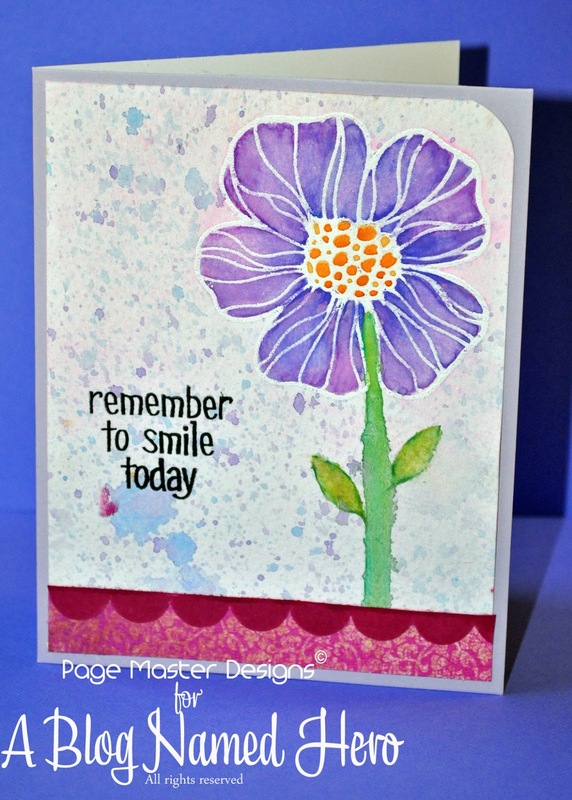 For this card I chose 3 different purples, a deep blue and a touch of pink. I used a waterbrush to try and control the amount of water that went on. While I love the blending with the paint I find that the control is harder. I either picked up too much paint, had too much water and it took me a long time to get the look I was going for. 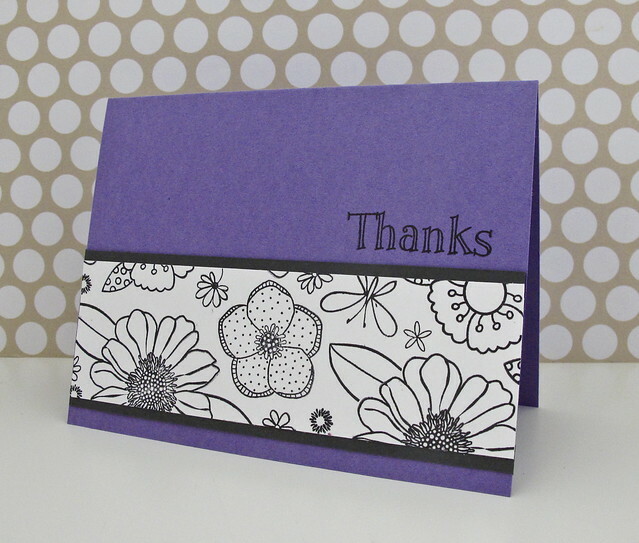 I hand drew the stem on each flower and used a Hero Arts leave with the medium for that card. Watercolor paint on an acrylic stamp works a whole lot better than I thought it would. 😉 When I was done I put some purples and blues on a toothbrush and splattered it. For the background on this one I mixed up some Hero Arts daubers and inks on my glasstop, spritzed with water and flicked on with the toothbrush again. Lastly we have watercolor markers. I used the ones by Tombow. I just recently picked these up. 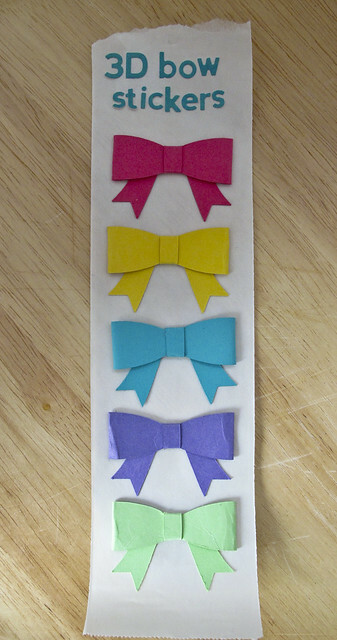 I like that I have options with these too but too heavy a coat and your paper will pill. I really like layers and got frustrated at first but now that I have played I have a better understanding of how they work. 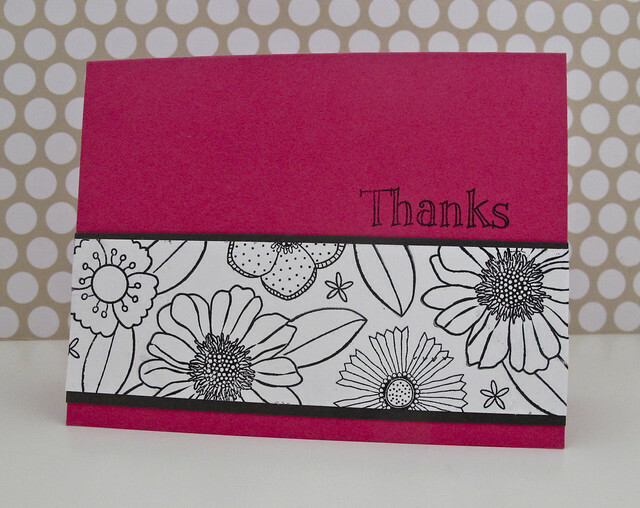 With this card I colored directly onto the paper and then blended with the waterbrush. To get some of that lighter blue I again scribbled onto my glasstop and then lightly spritzed with water. The key to using these markers is a dryer brush. It’s better to have an empty waterbrush or learn not to squeeze it, and pick up water from the side instead. This will greatly cut down on your paper pilling. 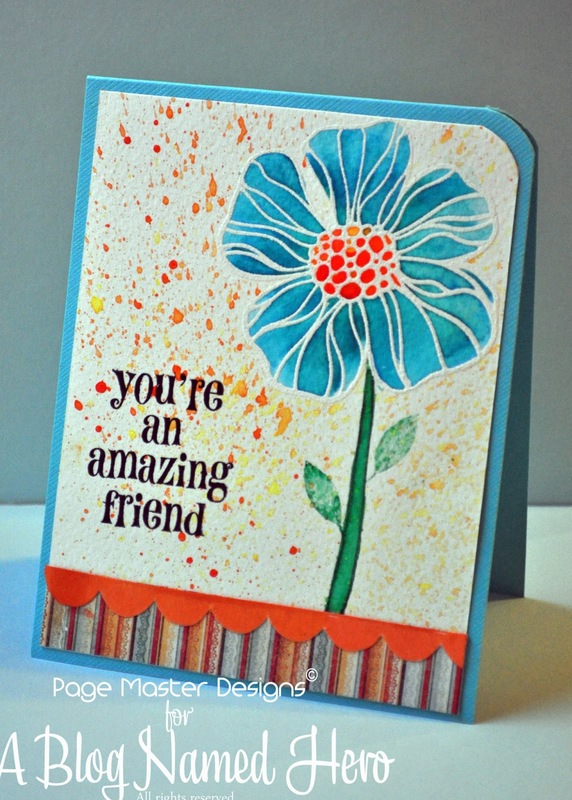 The splattered background was created using HA daubers on a toothbrush.